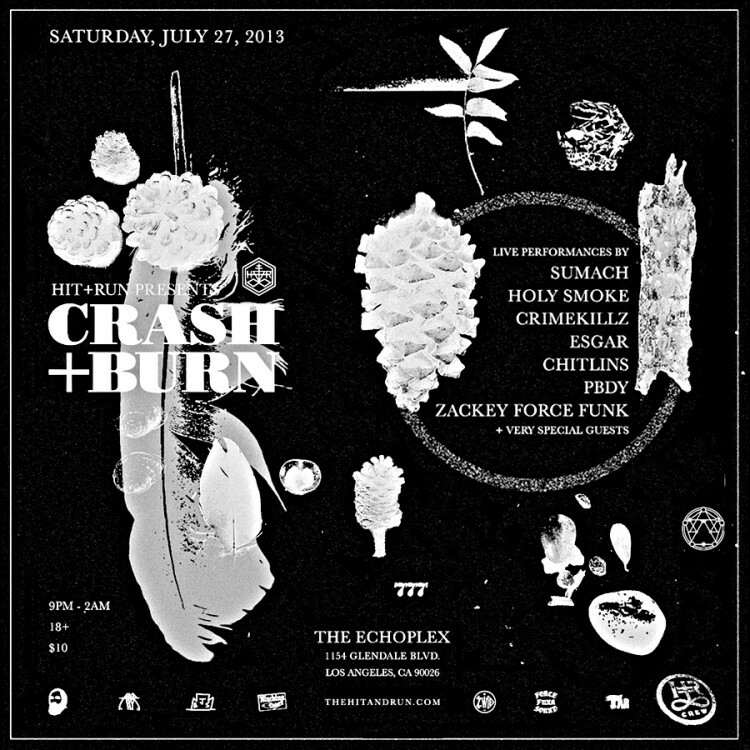 Summer party “CRASH+BURN” this Saturday, July 27th at The Echoplex. 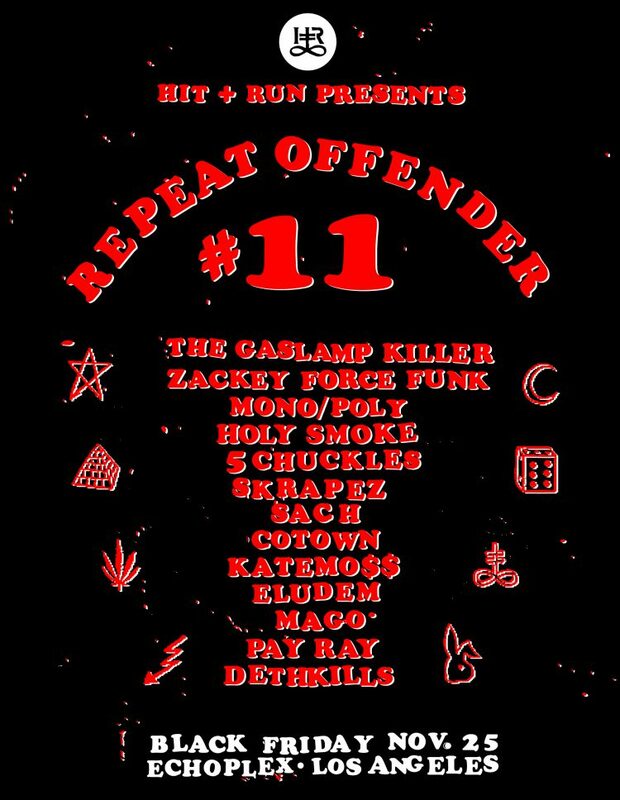 Don’t miss Very Special Live Performances by SUMACH, HOLY SMOKE [Jeremiah Jae & Zeroh] , CRIMEKILLZ, ZACKEY FORCE FUNK, GNAR, ESGAR, CHITLINS, an opening Dj set by PBDY, plus revelations, proclamations & lightning bolts to your brain throughout the night courtesy of our Host Emcee SUBTITLE. Purchase your tickets now to guarantee no-line admission & gift bag.